Taking on a grain storage expansion project can be challenging. Careful planning and consideration are required to ensure that your expansion suits your needs now and in the future. 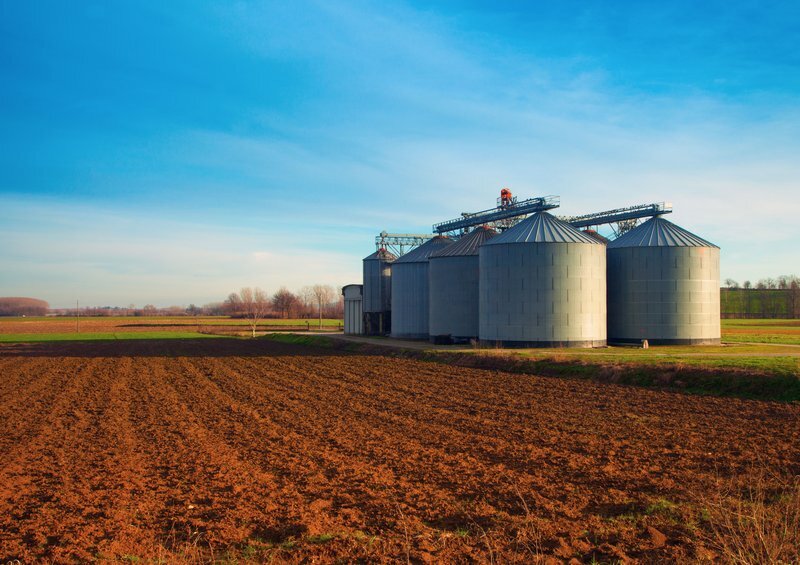 Here are seven key factors to keep in mind when investing in a grain storage expansion for your farm. It may be tempting to invest in adding just enough storage to accommodate what you currently need. The expenses associated with these construction projects, however, can make it much more cost-effective to build a grain storage expansion suitable for future needs far beyond your current demands. Considering the likely growth of your farming enterprise and sizing your storage facility accordingly can help you manage your finances more effectively over the long run. Creating separate grain loading and unloading stations can allow you to enjoy greater efficiency at harvest time by allowing your staff members to manage both these tasks simultaneously. This can help you minimize overtime requirements and may even allow you to reduce staffing for greater efficiency. By planning ahead to allow the most practical traffic arrangements for these tasks, you can enjoy added productivity and profitability. If you routinely grow several different grains during the course of a year, you are already familiar with the challenges inherent in managing storage space for multiple crops. Creating several smaller bins rather than one large one can provide you with added flexibility. This is especially true if you are considering diversifying your crops in the near future. By making allowances for these future plans, you can ensure that you have the right storage space options for your operation. Agricultural experts typically estimate that permanent grain storage facilities will last about 20 years. Working with a quality builder who has an established reputation can ensure greater longevity for your installation. This will make sure you enjoy the greatest possible return on your investment and that your grain storage facility performs as expected for many years into the future. Depending on the nature of your farming operation and the land available for use, you may benefit from temporary or permanent grain storage solutions. · can easily be stored or moved as your grain storage needs change. · usually cost much less than permanent installations. · are ideal for use on leased land where building is impractical. · may potentially reduce fuel costs and travel time during harvest since they can be located close to the field. · can potentially increase the value of your property at the time of resale. · tend to be much more secure against contamination and moisture intrusion, making them a safer bet for most farming operations. · are designed for easy loading and unloading, which can allow greater productivity for your workers during harvest season. Considering your current and future needs can help you make the right choice between temporary and permanent storage solutions. Leaving a little extra room surrounding your grain storage installation can allow you to add extra grain bins and outbuildings if necessary. This can reduce the cost of future storage additions. Most large commercial farms expand their operations over time. Taking steps now to ensure that you will have adequate room to accommodate any future expansions can be the first step toward a more profitable future for your farm. · Grain dryers use heat to extract moisture from harvested grain. Modern drying equipment can significantly speed the process, allowing you to move your product to market faster. · Cooling bins typically use aeration methods to return the grain to a normal temperature and to prepare it for storage and sale. By implementing high-tech equipment into your grain storage expansion, you can ensure the most accurate temperature points and the most effective moisture extraction during the drying and cooling process. Investing in a grain storage expansion can increase your productivity and enhance your overall profitability in the agricultural field. By considering these seven factors, you can make the right moves when adding storage space to your agricultural enterprise. Check out more on Row Crop news.